Personal injury attorneys experienced in litigating dog bite cases probably realize the potential value in retaining the services of an animal behavior expert witness. This is especially true in states that impose strict liability for dog bites, such as California and Arizona or in states like Texas where negligence is the legal theory most often used to determine the plaintiff’s liability. However, attorneys need to realize that many self-proclaimed animal behavior experts exist. This is so, in part, because the standards for qualification of an expert witness are broad, particularly in California. Moreover, there are no formal licensing or regulation requirements for animal behaviorists or canine behaviorists, as they are for attorneys or psychologists. Hence, many self-proclaimed experts in animal behavior exist, and attorneys need to be aware of this. The expert should have a sufficient number of years of practical, hands-on experience working with companion dogs. What criteria should the attorney use in choosing the best animal behavior/dog bite expert? #1. 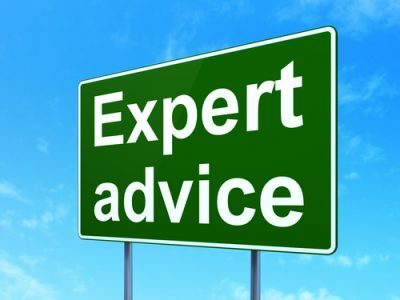 The expert should possess an advanced degree from a recognized university. Unlike some other fields of expertise where no training at the university level is available (e.g. maritime experts), academic training in animal behavior is readily available. Doctoral degrees in animal behavior, or a masters degree, are granted at most major universities. In California, for example, the University of California at Davis has an exceptional program. In Arizona, the doctoral program in animal behavior at Arizona State University is also highly rated. An attorney may ask: What it the value of academic training in animal behavior as it relates to the behavior of companion or working dogs? The answer is straightforward: Fundamental principles in animal behavior exist that govern the behavior of all mammals, including domestic dogs, whether the dog be a pit bull or a police K-9. 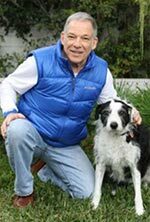 Knowledge about the scientific basis of animal behavior provides the foundation for an understanding of how and why companion dogs behave in real-world situations. This foundation is analogous to the need for competent understanding of the field of physics by an astrophysicist with expertise in knowing how to send people into space. In this regard, it should be noted that the background and qualifications of a dog trainer or for that matter the veterinarian differs from that of an animal behaviorist. #2 The animal behavior expert should have papers published in peer-reviewed animal behavior or veterinary journals and have authored a book. Most well-qualified experts will have authored or edited a book or published papers in peer-reviewed journals. The absence of either should raise a red flag. #3. An animal behavior expert should possess certification from a professional organization dealing with the study of animal behavior. I mention this because there are for-profit organizations in the United States that offer generic certifications as a “Certified Forensic Consultant”, “Certified Animal Evaluator” or as a “Diplomate of the American Board of Forensic Examiners”. These titles have absolutely nothing to do with the study of animal behavior! Some animal behavior experts use these titles in misleading fashion. And in doing so they dupe the attorney into believing the individual has certification in the field of animal behavior. Legitimate and well-established professional organization that provide certification in animal behavior are the International Association of Animal Behavior Consultants, the Animal Behavior Society, and the American Veterinary Medical Association. Note that the well-respected Delta Society deals exclusively with the human-animal bond and has little to do with the science of animal behavior as it applies to companion animals. The title “Certified Animal Evaluator”, obtained through attending a one-day workshop, is given to an individual for the evaluation of a human-animal bond and not for the evaluation of the behavior of dogs or other companion animals. Even if the attorney has made a genuine effort to vet the expert and scrutinize an expert’s curriculum vitae, there will always be difficulty in verifying the truthfulness of what the expert has listed on his/her curriculum vitae. For example, I know of one individual who wildly exaggerates the claim of the number of dogs trained and the number of photographs examined of injuries to dog bite victims. And it is next to impossible to verify the truthfulness of this expert’s claim. Nonetheless, as long as the expert claims to have experience in animal behavior and has some evidence to back-up this claim, then the expert is likely to be qualified in Court. When this happens, the court will likely qualify the expert and rule that the opinions of the expert be applied to the weight of the evidence rather than outright disqualification. Rarely in California are Daubert or Kelly-Fry challenges made. When to Retain an Animal Behavior Expert Witness? Moreover, early in the litigation, it may be desirable for the animal behavior expert witness to examine the dog to test for certain tendencies or determine the dog’s temperament. The scene where the incident happened should also be examined, either by having the expert visit the scene or through the examination of photographs. Dog bite attorneys should take notice of the above. Failure to take heed to the above mentioned guidelines invites incompetence and it might compromise the outcome of the case.